“The compact is a non-legally binding agreement that reaffirms the foundational principles of our global community, including national sovereignty and universal human rights, while pointing the way toward humane and sensible action to benefit countries of origin, transit and destination as well as migrants themselves,” Antonio Guterres said in a statement. “At a time when international cooperation is more important than ever, this new Global Compact provides a platform for precisely that,” he said. There are 250 million migrants worldwide, many traveling at great peril and at the hands of smugglers or traffickers. 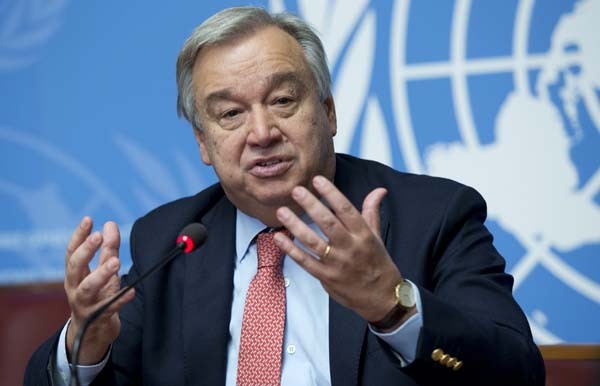 Guterres stressed that the Compact calls for greater solidarity with migrants in situations of appalling vulnerability and abuse, that it underscores the need to anticipate future trends, and that it highlights the imperative of devising more legal pathways for migration. Louise Arbour, UN Special Representative for International Migration, who led the conference deliberations over the Compact in the Moroccan city of Marrakech last week, said that he formal endorsement represents a resounding commitment to an international migration framework based on fact, not myth, and to an understanding that national migration policies are best implemented through cooperation not in isolation. The compact, the first-ever negotiated global framework on a common approach to international migration in all its dimensions, was adopted by the 193-member Assembly with 152 votes in favour, 12 abstentions, and five votes against, namely by the United States, Israel, Czech Republic, Hungary, and Poland. An additional 24 Member States were not present to take part in the vote. The document, which was the outcome of a conference in Marrakesh (Morocco) earlier this month, is intended to be a framework for global cooperation. It is not a treaty and it does not impose any legal obligations on states, but it still incurred strong objections from a handful of countries. The United States withdrew from negotiations on the compact last December over sovereignty concerns, just as delegates were gathering in Mexico to work on it. At Wednesday’s vote in the General Assembly, the U.S. Deputy Assistant Secretary for the Bureau of Population, Refugees and Migration, Andrew Veprek, expressed Washington’s opposition. “While the United States honours the contributions of the many immigrants who helped build our nation, we cannot support a compact or process that imposes or has the potential to impose international guidelines, standards, expectations, or commitments that might constrain our ability to make decisions in the best interests of our nation,” Veprek said. He focused on the importance the Trump administration places on protecting U.S. borders and regulating migration into the country. “The United States proclaims and reaffirms its belief that decisions about how to secure its borders, and who to admit for legal residency or citizenship, are among the most important sovereign decisions a state can make,” he said. In addition to the United States and Hungary, also voting against were Israel, Poland and the Czech Republic. Other states welcomed the compact, though, saying it would help countries of origin, transit and destination to better manage migration, making it safer and more dignified. She noted there are some 70 million people of Irish descent around the world, forced to migrate over centuries of political and economic uncertainty. Nason said that today, 17 percent of Irish citizens live overseas, while more than one in six Irish residents was born abroad. “We are now benefiting from the contribution of the ‘new’ Irish and those who have made Ireland their home,” she added. Namibia’s U.N. envoy, Neville Gertze, spoke on behalf of the African group of nations. “This landmark document constitutes a roadmap to prevent suffering of thousands of migrants. It will provide space to develop cooperation strategies that will benefit all,” Gertze said.